Three members of the Facilities Team from Cummins at Daventry recently undertook the challenge to climb the highest mountain in Scotland (Ben Nevis), England (Scafell Pike) and Wales (Snowdon) in just 24 hours. 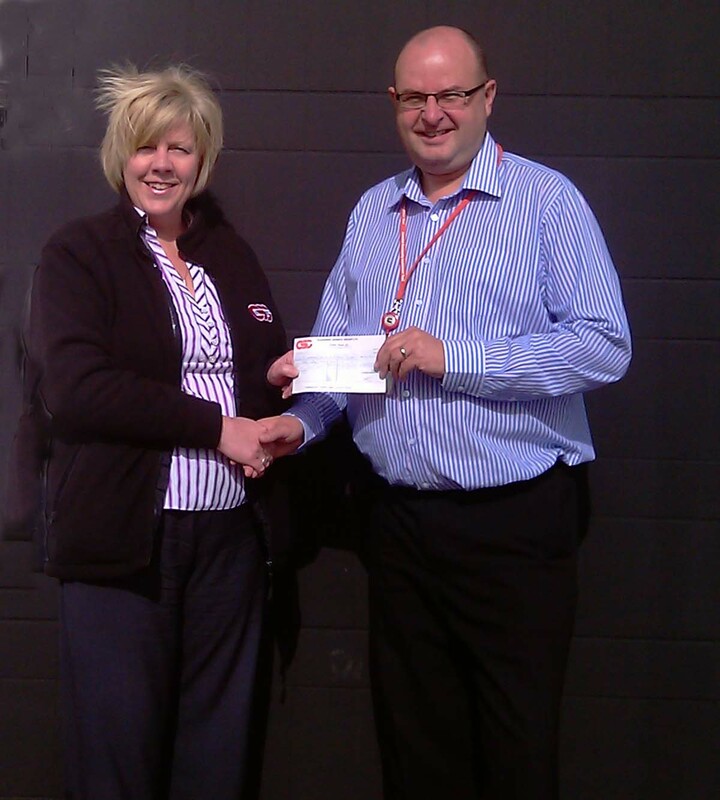 The challenge was successful and the picture shows CSG’s sponsorship cheque for £250 being presented to James Nicholls of Cummins community involvement team by Lesley James, CSG technical sales manager. The team realised some £2000 in sponsorship which will be added to all the money raised this year by the Cummins Community Action Group which supports a number of national and local charities. The Group hopes to beat last year’s sum of £16,000. CSG has been making regular collections of Cummins hazardous waste for the last two years and the company is also a member of CSG’s 24hr Emergency Response spills hotline. Cummins Inc. is a global leader in the design, manufacture, distribution and servicing of engines and related technologies. The Daventry facility has been manufacturing diesel engines for the past 50 years.